High Performance Homes Will Define The Future of Building - ShelterWorks Ltd.
For years homeowners, contractors, architects and material manufacturers have focused on “green building,” or constructing homes and businesses that have less of an impact on the planet. But more and more, they’re moving away from the term green building in favor of “high performance building.” Industry experts believe this phrase does a better job of explaining the myriad goals they hope to meet, including lowering a home’s carbon footprint, saving the owner money on energy bills, and creating a structure that will last for a long time. Since the term high performance building is so new, there’s still a lot of confusion about it. What does high performance building mean? Why is high performance building better than green building? How do you build a high performance home, office, warehouse or other structure? We’ll explore these questions in more depth. That’s a bit of a mouthful. Let’s break it down. Energy efficiency is one of the most important parts of high performance building. Decreasing your home’s energy usage is important for many reasons. In the United States, electricity production is the largest contributor to climate change, creating 31% of our total greenhouse gas emissions. Forty-one percent of all the energy Americans produce is consumed by residential and commercial buildings. If people can significantly lower the amount of energy needed to power their homes, they can make a big difference in the fight against climate change. Increasing your home’s energy efficiency can help you save money on your utility bills, and get you closer to the goal of living partially or completely off the grid. 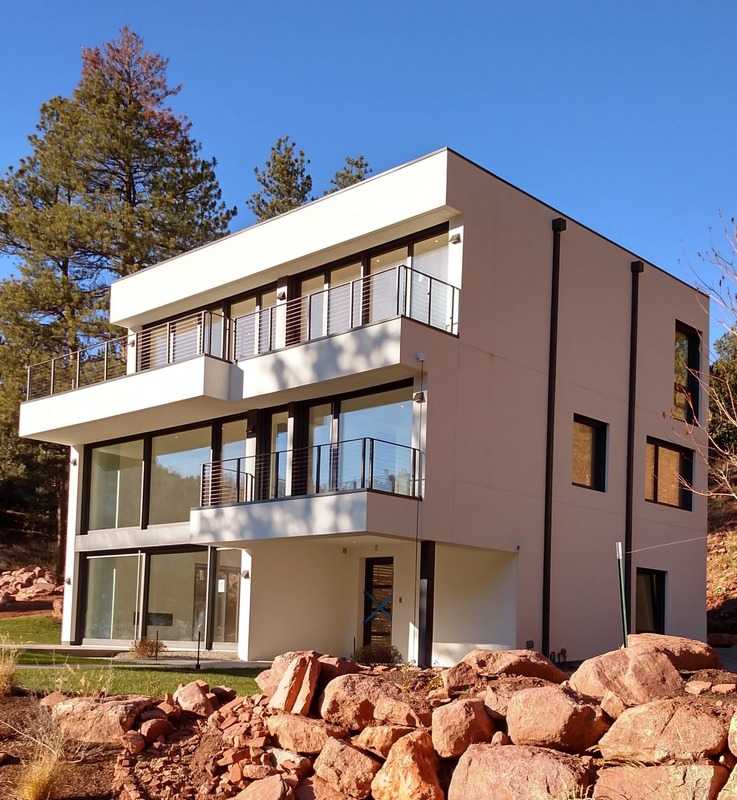 For people interested in homes that utilize net zero, Passive House or passive solar principles, building an energy efficient structure is a must. Durability is another important component to a high performance home. When you construct a building that will last for a long time, all the energy and materials that went into making it remain there. From an environmental perspective, saving the embodied energy of the home is vital because it keeps materials out of landfills and decreases the amount of new materials that have to be harvested, mined and processed. The longer a home stands, the longer you can retain that embodied energy. The average high performance home is designed to last for up to 200 years. Because it’s built to such high standards and with such quality materials, it’s better able to withstand natural and man-made hazards such as severe weather (hurricanes, tornadoes, tsunamis, etc.) and wildfires. If you’ve ever dreamed of having a house you can pass down to your children and grandchildren, building a high performance home will help you fulfill that dream. Life-cycle performance is similar to durability. It takes into account how well the building performs over its long life. Having good life-cycle performance means the home meets all the owner’s goals (no or low utility bills, lower maintenance costs, good indoor air quality, etc.). It does that now and into the future. A high performance building should be built well enough and smart enough that it doesn’t require a lot of time or money to maintain. Not only is it made with high quality materials, it utilizes the best in building science to reduce mold, rot and other problems. Some examples of smart building science include looking at a building’s envelope, thermal mass, materials, heating and ventilation systems, and defense against rain and the natural elements. We believe occupant productivity comes down to the health and comfort of the people who live and work in the building. One of the biggest considerations for a healthy home is good indoor air quality. In older homes, air and moisture have many places to enter the house, but few places to escape. As a result, the air is full of dust mites, mold, bacteria, pollen and other allergens. It’s estimated that the air quality inside a typical home is two to five times worse than the air quality outside. That’s concerning because Americans spend 90% of their time indoors. In high performance homes, the interior air is continually exchanged with outside air that has been filtered and tempered. That means mold is less likely to form inside the walls, allergens and pollutants don’t enter the home, and you and your family have a healthy, pleasant living environment. High performance homes are also built with non-toxic materials that will not off-gas formaldehyde, phthalates, VOCs, flame retardants and other harmful substances into the house. 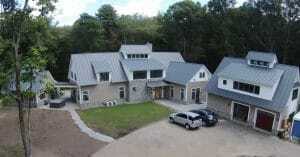 Another way high performance homes increase occupant productivity is by providing a high level of comfort. All the building science involved in creating high performance homes means structures have a consistent interior temperature, no drafts and very little noise. They are clean, full of light and smell good. In addition to the four attributes described above, we would like to add that high performance homes are built with what we’ve come to know as green building materials. Green building materials contain recycled materials, are easy to recycle at the end of their lifecycle, have a minimal negative impact on the planet when they’re harvested and manufactured, and/or don’t contribute to bad indoor air quality. High performance buildings should also be aesthetically pleasing and functional for the homeowner. If a building meets all its goals in terms of energy efficiency and occupant productivity, but it’s ugly or has a bad floor plan, no one will want to live there. It increases the likelihood that the building will be torn down at some point. If you’re looking for the perfect building material for your high performance home or office, Faswall is an excellent choice. Faswall ICF wall forms create structures that are extremely energy efficient thanks to their high thermal mass. Faswall is made with a blend of recycled wood and concrete, which makes the blocks extremely durable. Homes can last for well over 200 years. The mineralized wood composition ensures Faswall resists pests and will not mold or rot. Wood and concrete are completely organic materials that will not off-gas into the house. The interior and exterior of a Faswall home, office, church, outbuilding or other structure can be finished any way you want. As you can see from the photographs, the structures look beautiful when they’re done. Faswall blocks are easy to work with, whether you’re an experienced contractor or a DIY home builder. 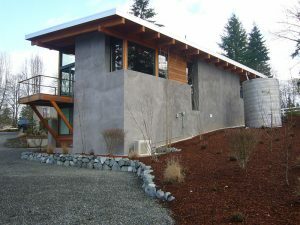 Categories: Energy Efficient Walls, High Performance Walls, ICF Commercial Buildings, Net-zero-home, Sustainable Building Tags: DIY home builder, eco-friendly building material, environmentally friendly, Faswall ICF wall form, high performance building, ICF wall form, net zero Leave a comment ?